Past Innovation Cluster president and CEO Martin Yuill is returning to Peterborough to become the executive director of Cleantech Commons, the planned green technology research and innovation site jointly funded by Trent University and the City of Peterborough. 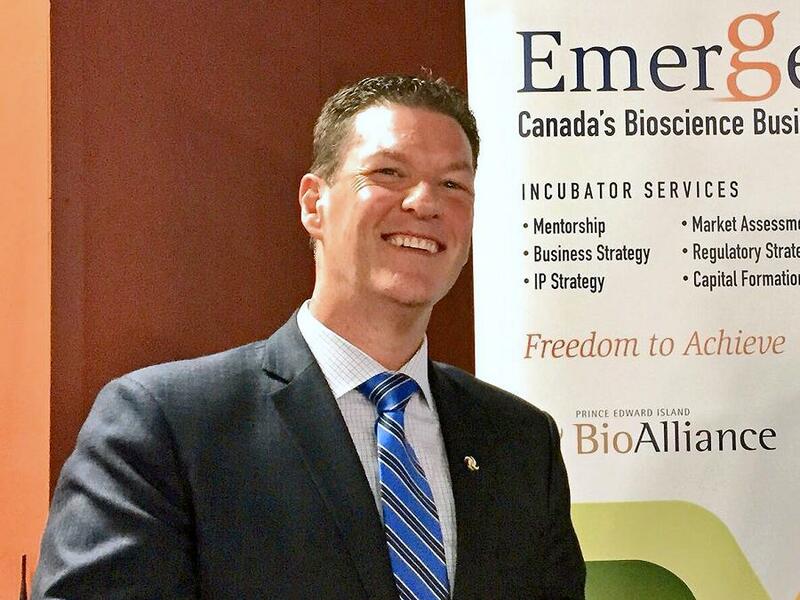 Yuill is currently living in Charlottetown, where he is the director of bioscience business incubator Emergence and director of incubation services at PEI BioAlliance, an industry-led development organization. Yuill’s appointment “signals that the research park is open for business and ready to welcome tenants”, according to a media release from Trent University. Yuill will begin in the position on March 1, 2019. “I am delighted to play a role in making Peterborough’s Cleantech Commons research park Canada’s premier clean technology research, innovation and commercialization location, and the centre of a cluster of next-generation technology companies and start-up ventures,” Yuill says. Formerly known as the Trent Research and Innovation Park, Cleantech Commons is to be built on an 85-acre industrial zone on Trent lands. Potential tenants will include clean tech, green, and other environmentally related businesses. In his role as executive director, Yuill will oversee all operations, functions, and activities of Cleantech Commons, as well as providing strategic direction for the research park. Yuill will be collaborating with Peterborough & Kawarthas Economic Development to develop and promote economic development strategies, develop and implement marketing and branding strategies, and promote community outreach, according to the Trent University media release. In 2008, Yuill launched the ORIC Kelowna Innovation Centre as the first best practice knowledge economy business incubator in the interior of British Columbia. In 2013, he moved to Peterborough to lead the Greater Peterborough Innovation Cluster (now the Innovation Cluster Peterborough and the Kawarthas), where he was responsible for launching The Cube, a best-practice technology incubator located at Trent University’s DNA building. He served as both president and CEO and director of incubation and acceleration the Greater Peterborough DNA Cluster, and was director of client services at the Peterborough Region Angel Network. He also served on the boards of the Centre of Excellence for Goat Research & Innovation and the FastStart Youth Entrepreneurship Initiative, volunteered as a design consultant to the Trent Innovation and Entrepreneurship Centre, and was a member of the management team of the Peterborough Community Innovation Forum and the Trent University Business Council. Yuill holds an MBA degree from the University of South Africa.